Boca Raton Marriage Counselor Mateja Petje's profile for StayMarriedFlorida.com. 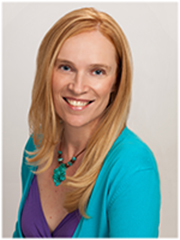 Mateja Petje, M.S., LMFT, CNLPP is Licensed Marriage and Family Therapist, Stress Management Coach, Spiritual Counselor, and Certified Neuro-Linguistic Programming Practitioner. She is also CEO/Founder of Holistic Coaching International, a mind-body-spirit coaching practice designed to help individuals achieve more balance in their lives. Her passion is to help people heal from abuse, trauma, depression, anxiety, PTSD, and challenging relationships. She also helps her clients to get rid of stress in a matter of a few sessions or even minutes. What distinguishes her from other more traditional psychotherapists and coaches in that in her sessions she utilizes different healing modalities that are the integration of Western and Eastern approaches that she had been studying over 20 years including clinical hypnosis and guided meditation, Neuro-Linguistic Programming (NLP), Emotional Freedom Technique (EFT) and energy medicine. Call for a complimentary consultation today or click here to schedule it: https://calendly.com/matejapetjelmft/30min.